personal training | Coach Billy. Keeping up with your training can be difficult if you work a regular 8-hour job that you need to juggle in your schedule with other important stuff like family, kids, house chores, the dog, and your favourite TV show. It takes dedication, commitment, and lots of guts to put “Exercise” in your top priority list…and it’s even harder if you think your Personal Trainer is trying to kill you! The best of us don’t just survive in difficult circumstances (yes, including the torturous training), but succeed and continue growing until we reach our goal. 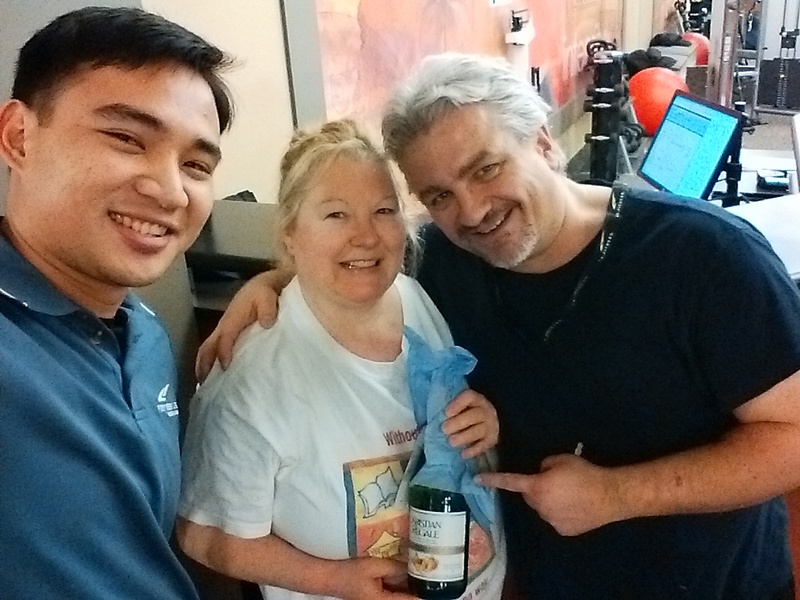 The Best-Fitness-Client(s)-of-2014 award goes to Danny and Connie who are such people. Danny starts work early in the morning and ends late with his split shift. He usually has only a few minutes left to change from his work clothes to his gym clothes. Connie is working a regular 8-hour job that requires a lot of patience. Like for most of us, it’s not easy for the couple to get motivated to go to the gym for another hour of exhausting training after a long, stressful and tiring day. But they made the decision. And they are doing quite a great job coming to the gym 3 to 4 times a week! Danny and Connie has been consistently doing their strength training, circuit workouts, cardio routines, and mat core exercises (which they honestly abhor) since they started to train with me in May this year. It has been a great 6 months training with them and every month they just keep reaching their goals! Danny may have driven me straight to the gym if I was a ‘nicer’ Trainer! If you are a determined, committed, and hardworking person who want to reach your fitness goals, I’d love to work with you! Click on the SERVICES tab to apply for Online Fitness Coaching and see if you’re fit for the program. Talk to you soon! Today marks the two weeks I’m finally employed as a Personal Trainer at a prime gym in Toronto. As a starter, I am still trying to establish a client base so I have to devote more of my time to meet clients and have them booked. Hopefully as weeks pass, I’d be able to have a saner and more regular schedule. It’s hard to find time to write for now, but I will try to do it more often as I adjust to my schedule. As a personal trainer, I prefer dynamic and functional exercises more than using weight machines like as a runner, I prefer running outside than on the treadmill. Machines have their value- beginners benefit from them as they learn how to activate their muscles; body builders can use them to supplement their sets and work their muscles to exhaustion; the elderly rely on them for additional support and stability while they pursue their fitness goals. However, if you are someone who trains in the gym to be stronger, improve your performance, increase muscle mass, or lose fat mass, you wouldn’t want to restrict yourself to those limited weight machines. You burn more calories if you do exercises in an athletic stance compared to doing exercises sitting down on a machine. Your core gets activated because you have to engage not just the agonist muscles, but also the antagonist and synergist muscles when you use free weights. One of the best free weights available are the kettle bells. Today kettle bells come in different shapes and sizes, and advanced ones are easily weight-adjustable but you can always rely on a traditional kettle bell. Start to learn the basic primal movements with a light kettle bell (usually 10 lbs) and build up to improve your balance, coordination, and power. Get your kettle bells from Amazon. Click here for more choices.